Executive Producer -- Gatchell & Neufeld, Ltd. 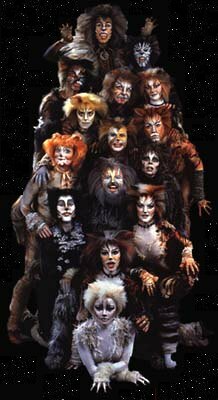 Thanks to Anita Pashley for telling me about the character of George in the London cast, and for letting me know who originally played the kittens who would eventually be called Electra and Etcetera. Thanks to Amelia for updating the Broadway cast list past the date I last saw the show, March 29,2000.